We don't want to think about an emergency or an accident happening, but some simple planning makes dealing with these situations much easier. Whether it’s icy or wet roadways, traffic congestion or one of the many other traffic situation you may encounter, being prepared can go a long way. Keeping your car stocked with some essential items can help you deal with less desirable issues on the roadway. Some essential paper items for each of your vehicles are listed below. Keep these together in the glove compartment for easy access. Remember to check these periodically to be sure everything is up to date. Vehicle license registration. Make sure your paperwork is up to date and toss outdated registrations. Keep these handy in your glove compartment. Proof of Insurance Coverage. Insurance companies issue these regularly, so be sure you have the current copy. While some insurance companies offer their proof of coverage via an app on your phone, a paper copy is a good backup. Cell phones can be damanged in an accident or you could find yourself in an area with no cellphone coverage. Emergency Contact Information. Keep emergency contacts updated in your cell phone as well as on paper with your other important documents. Include name, phone numbers (include work and mobile numbers), and relationship. Pen and Paper. You never know when you’ll need to quickly jot down another driver’s contact information. In addition to these documents, get a trunk organizer or other container and pack the following items in your vehicle. In an emergency, you’ll be glad you did! Keep in mind that you could find yourself stranded on a country road (West Virginia has plenty!) in possibly freezing weather. Tools to change a flat tire. Be sure you know how your car’s jack works and practice accessing the tools. First aid kit. Be sure to periodically check the kit and replenish supplies as needed. 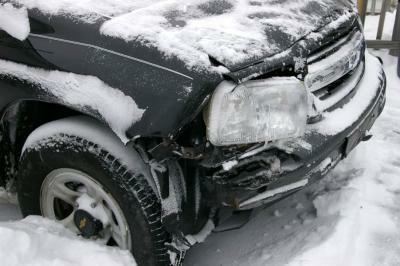 If you've been in an accident caused by another driver, contact Tammy Bowles Raines for a free consultation. Don't wait!